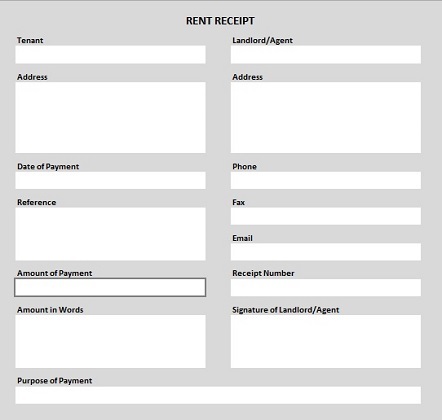 This rent receipt template is perfect if you are a landlord or someone collecting rent on behalf of a landlord from tenants. All the information required is already on this form. All you have to do is fill in your personalized details. 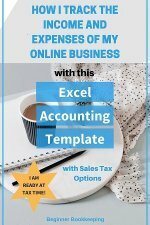 What’s more, the free Excel download is open to any changes you want to make so you can adapt the rent receipt template to your own requirements. Try the easiest property management software available on the market today! Used by landlords, property managers, real estate investors. 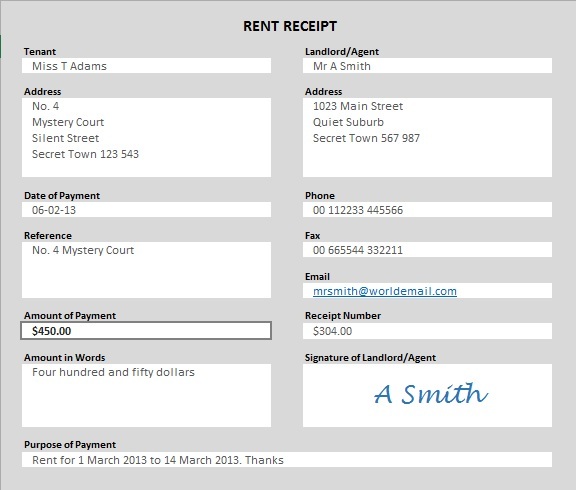 How does a rent receipt template fit in with the bookkeeping of a business or landlord? The receipt is an accounting source document and copies can be printed and filed away in a receipts folder or the banking folder. 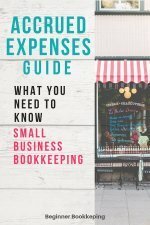 It is usually only necessary, and highly recommended, to issue receipts for cash payments, not so much for cheque/check payments or bank transfer. See our free printable receipt page for more on this. 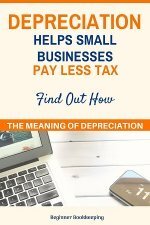 If you are looking after the collection of rentals for a land and property owner, and want to know how to record the rent received and deduction of your commission in your bookkeeping records then go here. A little Excel knowledge is useful, but if you are not very familiar with Excel there is a help button you can click on for detailed, online help. blank pdf forms of the template - are at the bottom of this page if you don't want to use Excel. 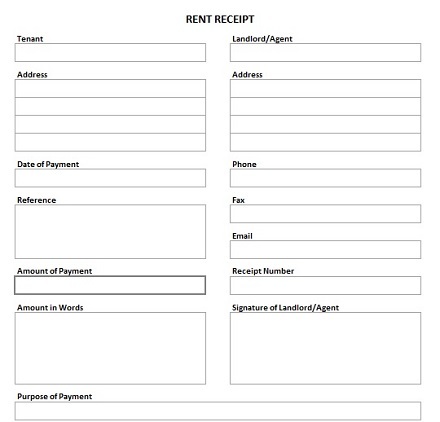 Similar to our free printable receipt, the rent receipt template comes in two styles – one with a grey background and the other has lines with no shading. The shaded one looks a little more professional, but if you want to save on printer ink then go with the lined one. Once you have opened the Excel download, click on ‘File’ then ‘Save As’ and give the receipt a name of your choice, saving it to a folder you can remember on your computer. If you want to make changes to the layout, then save it as an Excel document, make your changes and once you are satisfied save it again as an Excel template. If you want to leave our download as it is without making any changes, simply save it as a template. Saving it as a template means that every time you want to issue a receipt and you fill in all the information such as date, tenant’s name etc., when you go to save the receipt to your computer, it will save to a new document which you can give a unique name, like the tenant’s name and month of receipt [Abigail Johnson – January]. Meanwhile, the original template stays exactly the same so you can use it again and again! 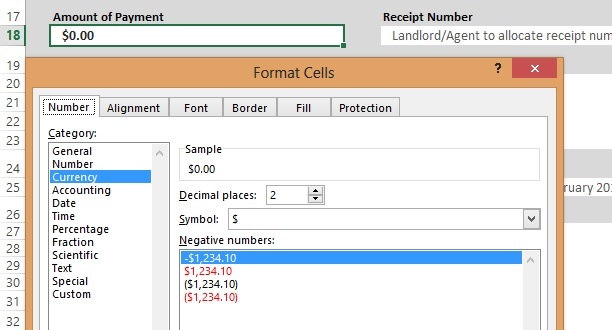 In your Excel document, click your mouse pointer into this field and start typing the name of the tenant – the instruction will automatically be removed and the information you typed in will be there instead. You can do this with all the cells/fields. Right click your mouse over the date cell, then click on ‘format cells’ then on the ‘number’ tab, then on ‘date’. 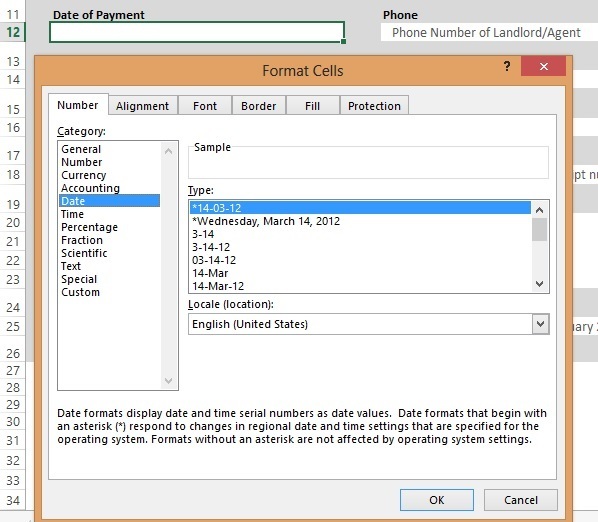 This will bring up a selection of date formats for you to choose from as in the above example. You can also change the currency symbol to the one you need by right clicking on the ‘$0.00’ cell, then click on ‘format cell’s, then the ‘Number’ tab, then ‘Currency’ (about third down the list), then the drop down arrow next to ‘Symbol’, select the symbol you want and select ‘OK’ at the bottom of the window. If you have any other questions about this template please send me a message through the Contact Form or by posting a comment below.